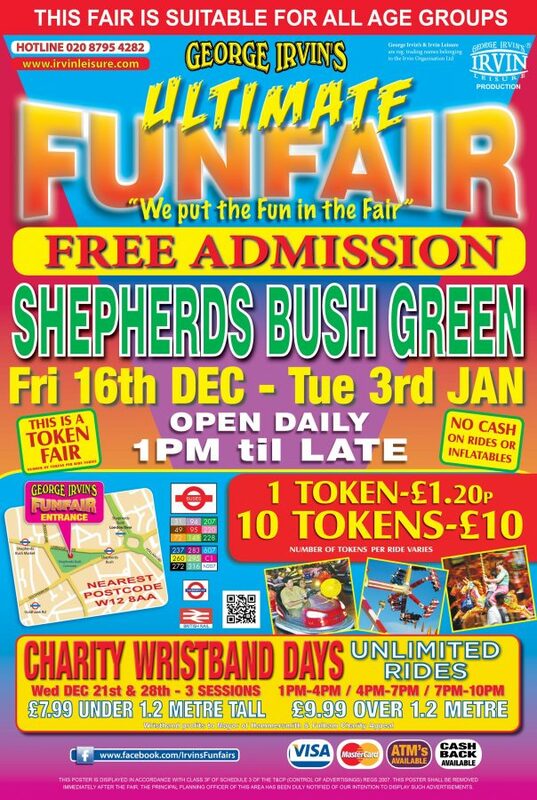 Wristband Days: Wednesday 21st and 28th December – unlimited riding. 3 Sessions: 1pm-4pm; 4pm-7pm and 7pm-10pm. £7.99 under 1.2m tall; £9.99 over 1.2m tall.